This Friday’s Fireside Charts is one of our favorites in that the charts and data below are forcing us to ask crucial questions about where the market is headed. March Madness indeed! 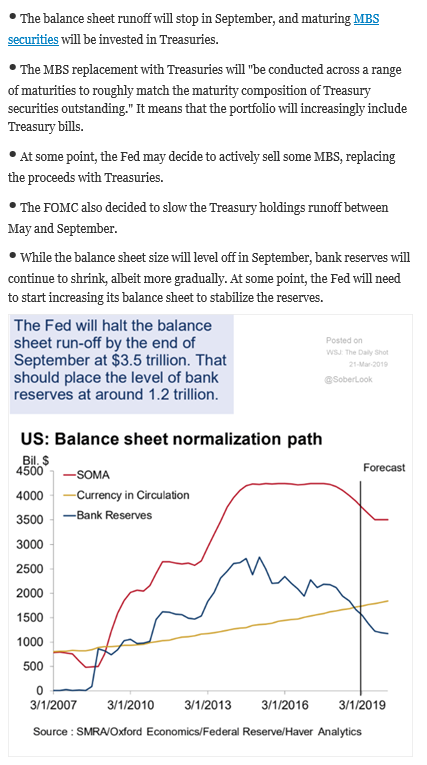 First up, the FED announced on Wednesday that they will not be hiking rates this time around, with zero predicted rate hikes for the rest of the year. 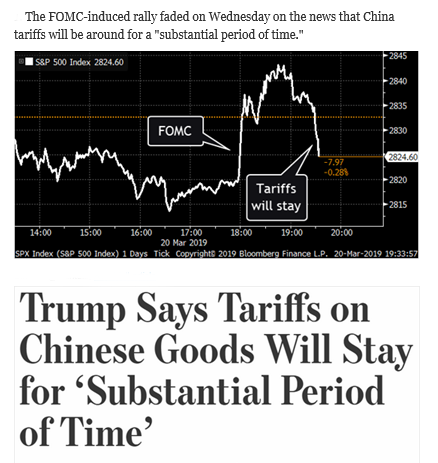 This is a highly dovish departure from their December projections.The market saw a rally after this news, which quickly faded when Trump announced tariffs on Chinese goods will stay for a “substantial period of time”. 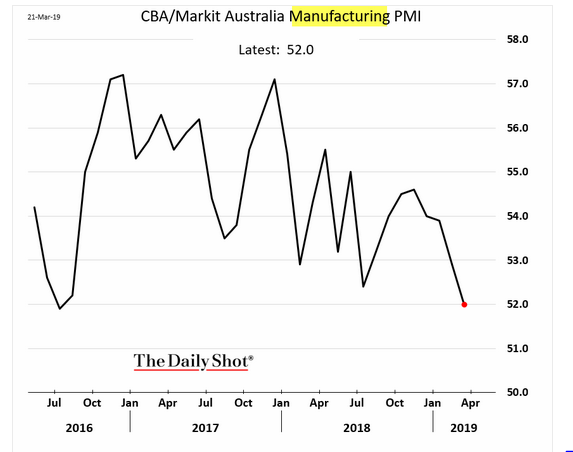 We will likely see even weaker manufacturing reports across the globe going forward. 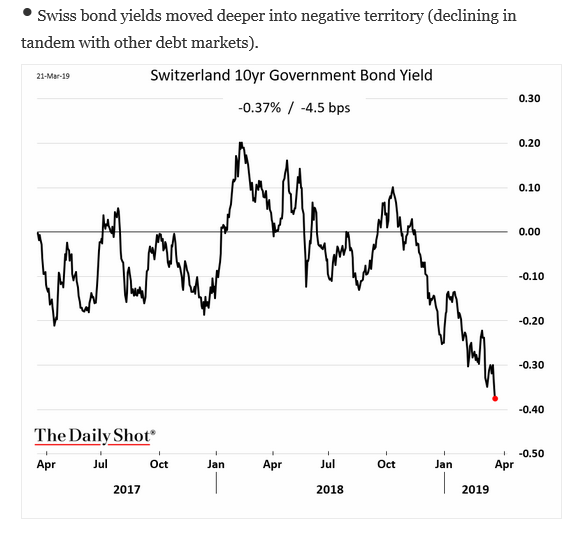 Meanwhile, a look into German and Swiss bond yields. 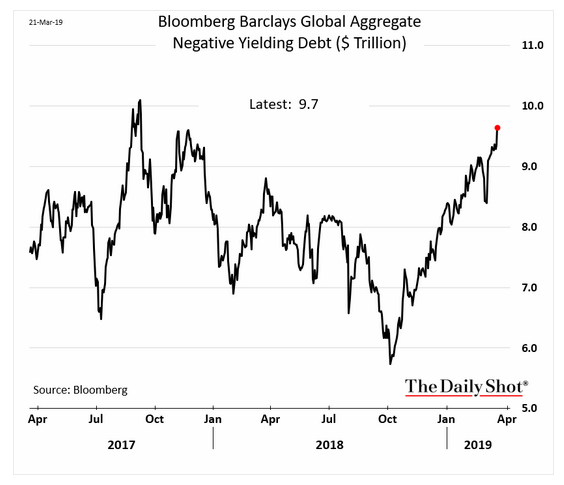 Why are global bond yields so low? 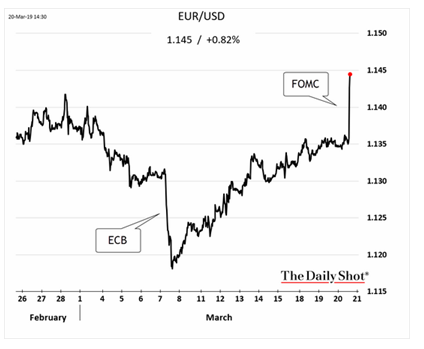 Are the foreign bond markets are more in tune with the global economy than here at home? 5. 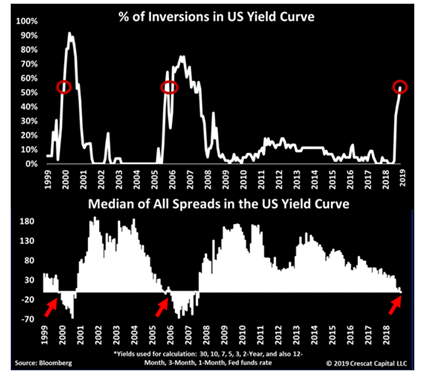 Given that the average maturity of U.S. Treasuries is 5-7 years, most of the debt is in the inversion (longer maturities have lower rates than shorter maturities). 6. 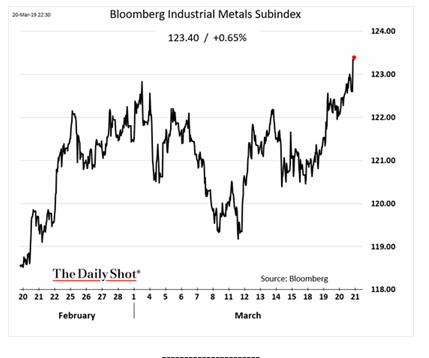 A Dovish FED is putting pressure on the USD which is giving a bid to many commodities. 7. 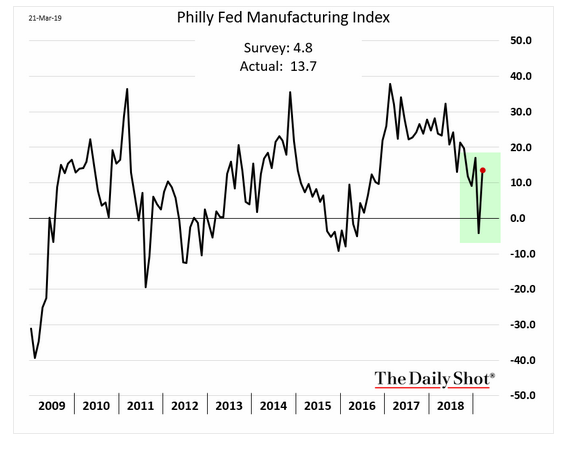 A welcome positive print out of the Philly FED. 8. German 10 year Bunds just fell to zero (interest rate). Why are global bond yields so low? 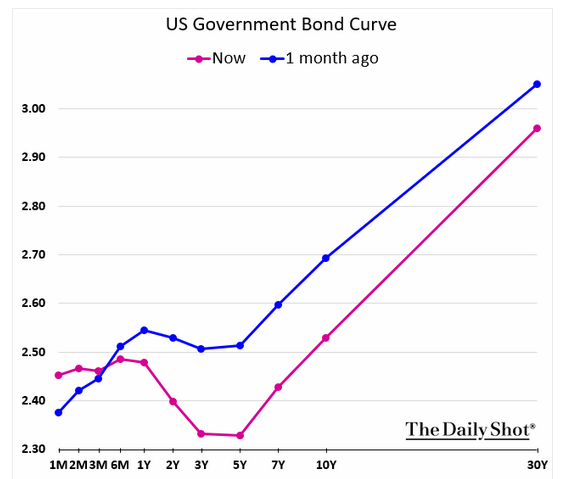 Are the bond markets are more in tune with the global economy? 10. 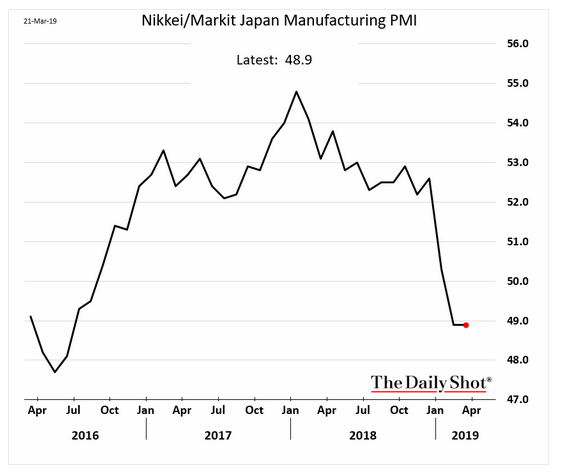 Japan's manufacturing slump continues... (less than 50 is contraction). In our Fireside Charts posts, including today's blog, it is reiterated time and time again that the U.S. is not an island and we live in a global, intertwined economy. How does this concept lend itself to the current issue of markets ripping up while the global economy slows? Examine the disconnect by reading: The Stock Markets are Ripping Up. The Economy is Slowing. What Could Ultimately Be Wrong?